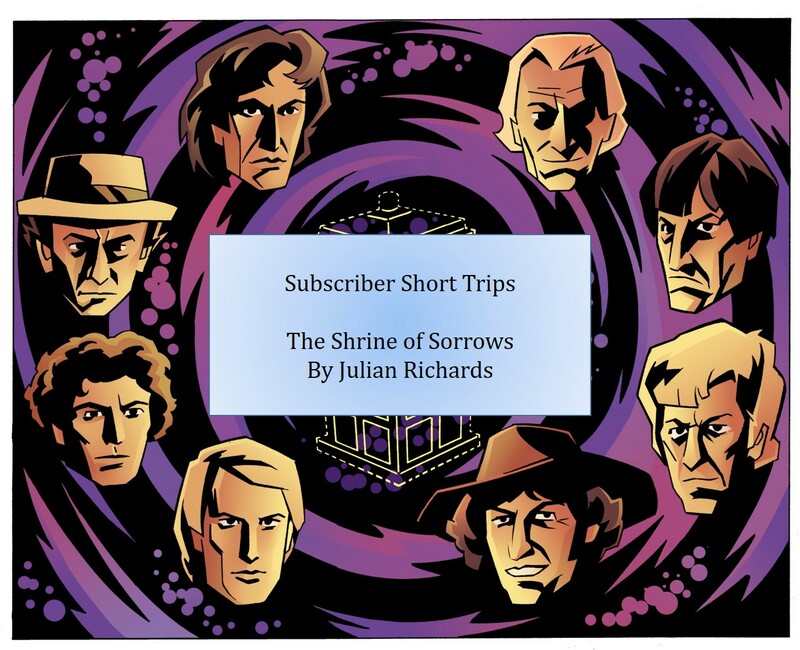 Free with the September 2016 release The Maker of Demons, is the delightful story The Shrine of Sorrows by Julian Richards. It’s a Seventh Doctor and Ace story read by Stephen Critchlow and yet again demonstrates that free doesn’t mean you don’t get a great story. The Shrine of Sorrows is a mythic tale told from the point of view of a girl named Nut, chosen to undertake a pilgrimage with two other children in the forest. Julian Richards does a good job of telling this story through the eyes of a child and allows the listener to paint the bigger tale. What Julian does really well is paint a story in real Brothers Grimm style and drop the Doctor and Ace into it without breaking the integrity of the setting. Of course there’s a traditional Doctor Who dimension to the plot but at heart this is a beautiful tale of trust, tradition and myth. Once again Big Finish proves that you can tell any story within the Doctor Who universe, and this is as good as any.